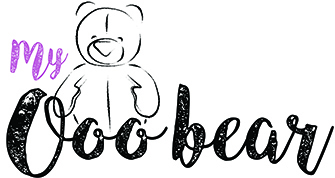 Its been a crazy few years at Ooo Bear HQ, many ups and downs but wow, I can hardly believe we are 5 .. the adventures have certainly been memorable. A few months ago we decided that we would like a new addition to the family, another Ooo to call our own so we set about lots of research and went back and forth between a few ideas and finally set our hearts on a cheeky monkey we like to call Ooo Ooo. There are lots of patterns available to buy, but as you all know we love to stand head and shoulders above the rest and be Ooomazing and Ooonique in a field full of bears, so we began exploring our favourite images of monkeys and set about drafting a pattern (which obviously like all of My Ooo Bear patterns, are kept under lock and key). … four months later, we have finally created the most perfect addition to our Ooo Bear family. My Ooo Ooo is so excited to come home with you, all dressed in your memories, so that he can become a member of your family too. We would love to know what you think of My Ooo Ooo so please do share your comments with us below.